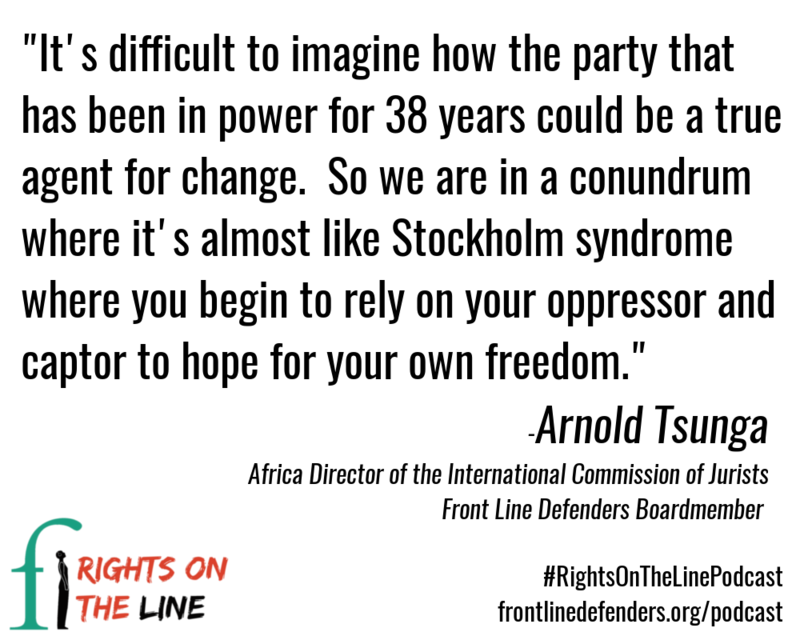 Rights on the Line was produced in-house by Front Line Defenders Web Editor and Communications Fellow Haseena Manek from January to December 2018, with the goal of presenting the voices and perspectives of human rights defenders (HRDs) and focusing on human rights issues across the globe. Episodes include HRD profiles, on the ground bulletins and feature episodes. 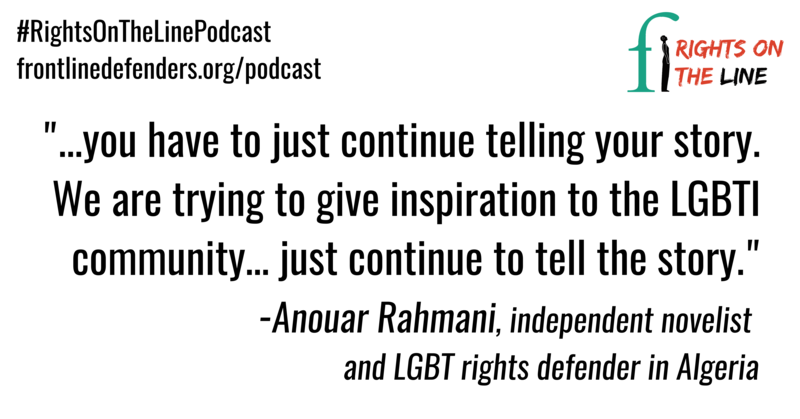 Listen for an unfiltered and unique view of what it is like to defend and advance human rights in some of the most challenging and risky countries, environments and contexts. 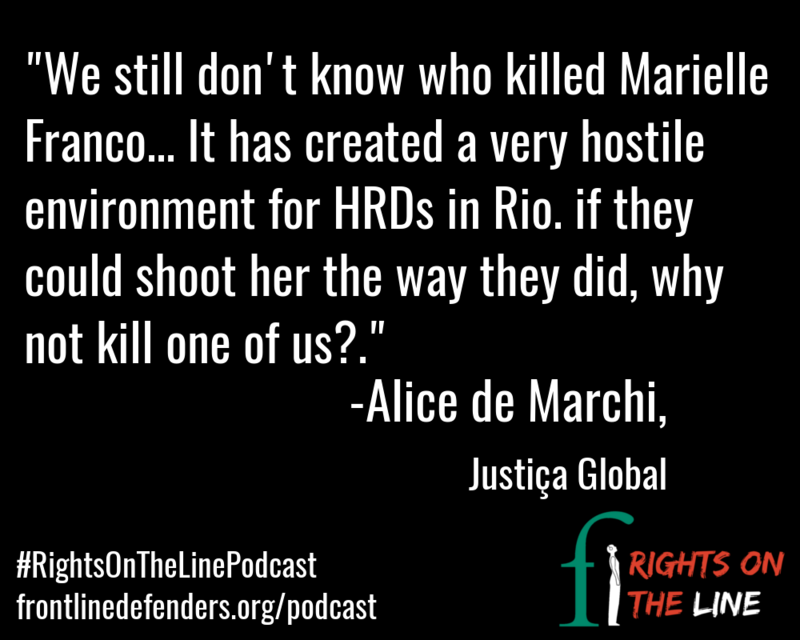 In this final episode, listen to hear HRDs reflect firsthand on the importance of - and limitations of - UN Declarations on the 70th anniversary of the UN Declaration on #HumanRights and in the 20th year of the Declaration on #HumanRightsDefenders. 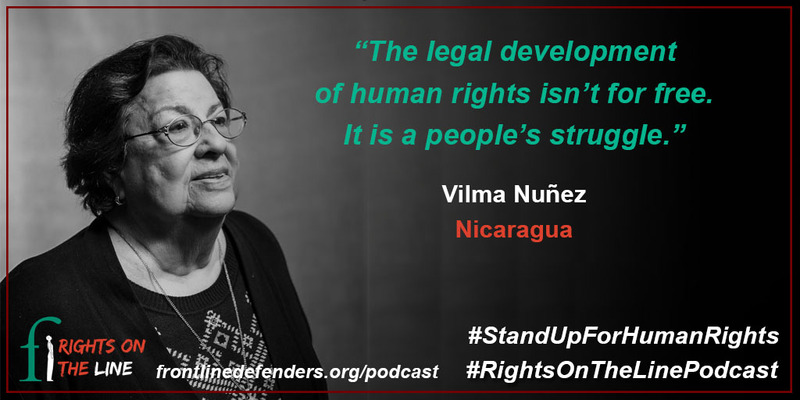 Hear from Maria Munir of the United Kingdom, Omar Faruk Osman of Somalia and an excerpt of Vilma Nuñez, of the Nicaraguan Centre for Human Rights contribution to the opening plenary at the 2018 HRD World Summit in Paris in October. Brazilian human rights defender Pâmella Passos. 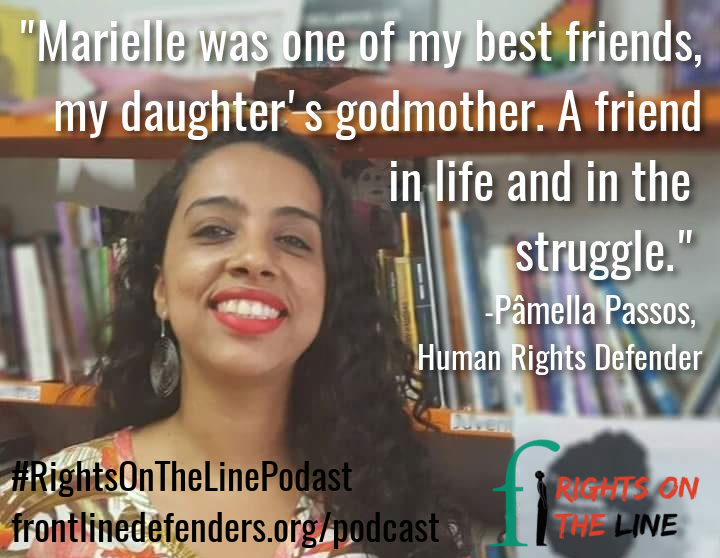 Pâmella spent six weeks in Dublin as part of Front Line Defenders’ Rest and Respite program earlier this summer, just months after the death of her friend and well-known human rights defender and councilwoman Marielle Franco, who was murdered in Rio de Janeiro in on the 14th of March. #LandRights #Self-Determination While in town to meet with legislators on the potential Occupied Territories Bill, Palestinian human rights defender Shawan Jabarin sat down with Rights on the Line to discuss his work defending human rights in Palestine as well as responsibility of the international community to intervene and advocate on behalf of those subject to actions that violate international human rights law. On this episode of Rights on the Line, we discussed some of the risks faced by environmental rights defenders advocating against large-scale development projects, the role international investors can play in protecting human rights and the role of international and local legislation in protecting Indigenous land claims in the face of environmentally destructive 'mega-projects'. We heard from two HRDs, student activist Francisco Simon Francisco of Guatemala and human rights lawyer Nelson La Madrid in Bolivia. 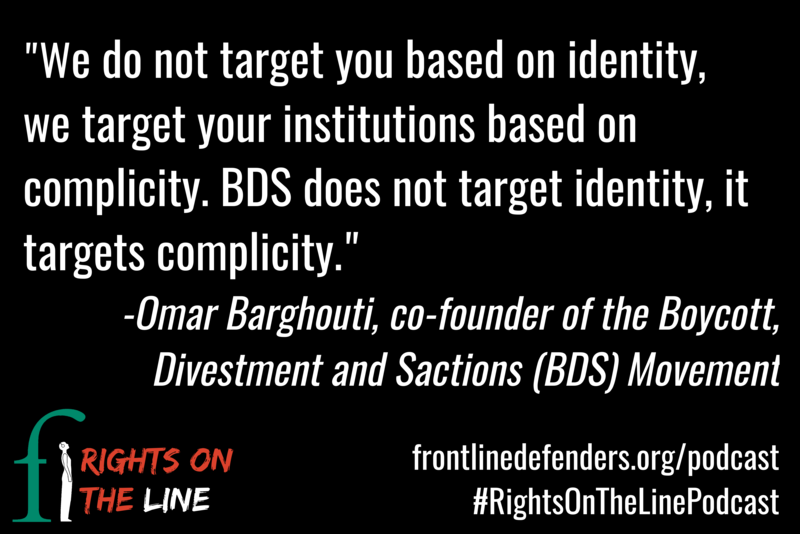 We also spoke with Front Line Defenders' Head of Protection Ed O'Donovan and HRD Visibility Coordinator Maria San Martin. 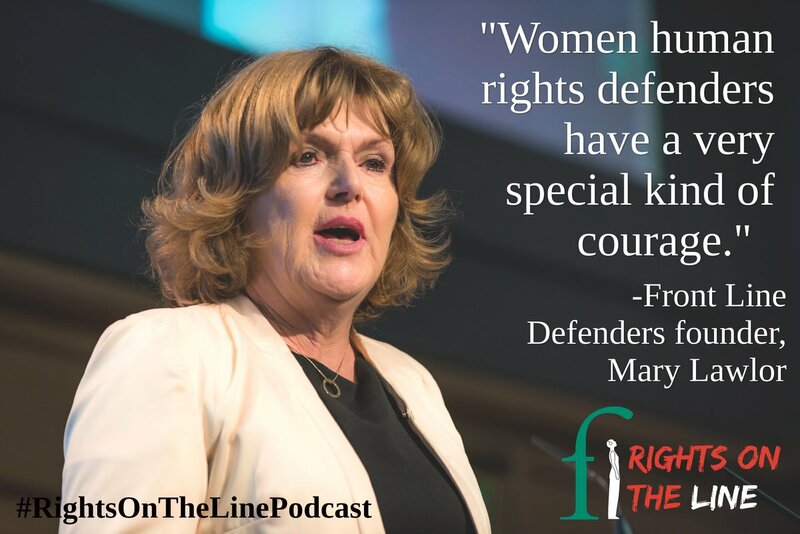 8th March is #InternationalWomensDay, but these women are advocating for human rights all year round. 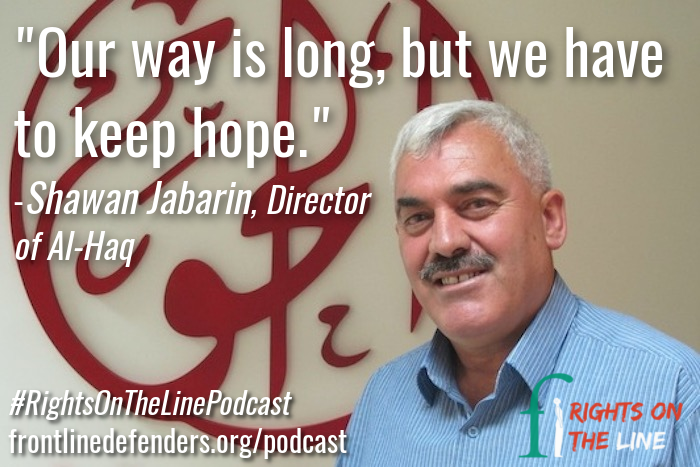 Listen to hear about their work and the human rights violations their communites are facing. Valentine’s Day. Self Care. Duty of Care. Human rights. How do these these connect? 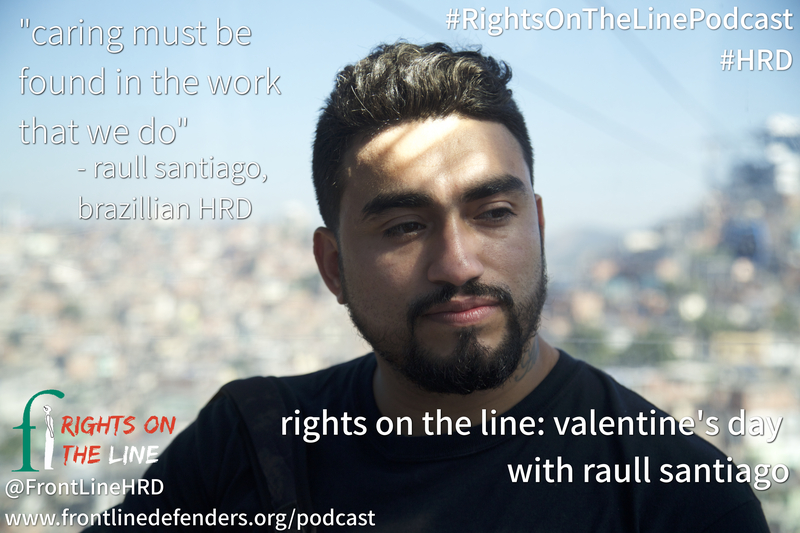 Listen to the debut episode of Rights on the Line, produced by Front Line Defenders, to hear about award-winning Brazilian human rights defender Raull Santiago’s work in Rio de Janeiro’s favelas, how it impacts his family life and his experience on Front Line Defenders Rest & Respite program. Raull Santiago is a human rights defender from Rio de Janeiro, Brazil. In March 2014, he co-founded the collective Papo Reto (Straight Talk), a group of citizen journalists documenting life in the Complexo do Alemão favela. The group draws attention to what is happening in Alemão, highlighting the cases of police violence and other human rights abuses, which tend to be ignored by mainstream media. Their slogan is: Nós por Nós (Us for Us), as the content they share is produced by residents living in the favela and dedicated to them.